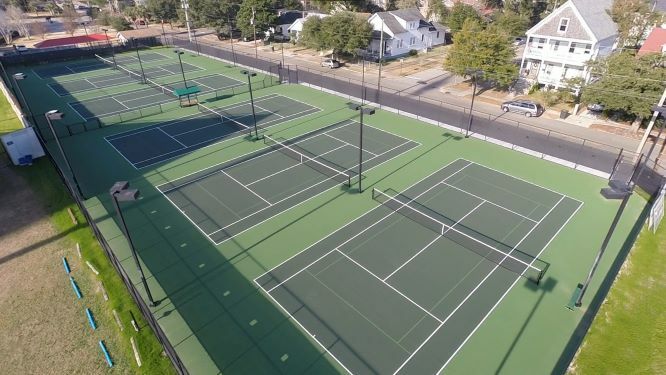 ADC provided landscape architecture services for the renovation of Jack Adams Tennis Center. The Tennis Center is a 37,462 square-foot outdoor tennis facility that includes six courts on 0.9 acres. The complex located on Congress Street adjacent to the Citadel Football Stadium. The project included demolition of existing courts and reconstruction of new courts including fencing. Existing lighting was salvaged and re-used. ADC’s services included the preparation of conceptual layout alternatives, construction documents, and construction administration for the selected layout.